New Legislations Concerning Social Media Facebook Law: a shadowing technique to restore political image on social media or an attempt to protect users of social media and safeguard their interests? People are so naïve to decipher the new laws levied on social media that they tend to believe that whatever those who are in power are blabbering at events, they are incapable of knowing the truth. This case particularly concerns our elderly and people who are not acquainted with the realms of technology, a weakness which is being misused by those in power to make people believe that this new law will stabilize the online presence of users and maintain so-called harmony, which is absolutely not true. How is it that a new law is levied concerning social media suddenly? To be truthful in this response, this law has been in the process of concoction since long time now without the population having a wink of the matter. In other words, it is the fruit of timely spying and social media observation by affiliates of those who are in power and then planning of a move that can retaliate the destructible effects. 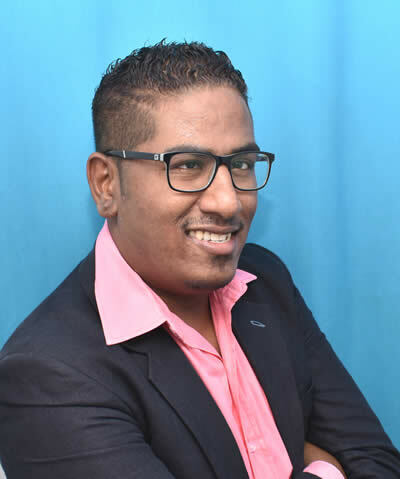 People should be aware that Facebook is one of the most used platforms of social media and this has not been otherwise for fellow Mauritians, as they found it a medium of expressing themselves freely and comfortably. Be it personally, politically or in any other way, they were able to point out their views, opinions and thoughts behind a screen without feeling any inconvenience. In terms of politics, which is the main concern here, there are several political groups which have thousands of members and serve as platforms of expression through Facebook whereby people like, comment and even share posts as per their judgement of appropriateness. However, the population should realise that this new law is eventually not a true one as on a stand-alone basis, it is not viable and worthwhile. From facts which can be gathered on Facebook, it can be clearly seen that a sudden legislation and vote of a new law concerning social media is a mere escapade from the taunts of the public and its revolting rage due to their ruling incompetence ever since they’ve taken office. The criticisms of the population, vigorous commentaries and anger concerning the deteriorating situation of the country have become really indigestible for them and in an attempt to counter those social media instances, they have used their power to maliciously vote for a new law that could keep the mouths of Facebook users shut, snatching their rights of expressing themselves freely on social media. Is it a law to protect social media users and safeguard their rights? Not really. It is mostly a farce of the Government by making people believe that this law is in their best interest as the truth lies elsewhere. The public should be aware and informed that Facebook already comes with a set of legislations, rules, laws and policies that are meant to protect its users and features options that contribute towards that establishment. In fact, any social media platform normally comes with a regulated set of laws, rules and policies that are to be complied between the parties – that is, the user and the social media company. The issue, as described by this Government, has its solution on all social media platforms and does not require any external law to resolve it, as the population are being forced to believe. There are options for different kinds of issues and users generally know about them. Problems get resolved within the next 48 hours through prompt assistance of Facebook personnel and appropriate actions are taken against culprits. Therefore, where does this new so-called law fit in? Even though it has been implemented, is it as effective as that of Facebook Assistance? Is a prompt service and efficient within 48 hours or a law which could run for years without any substance or even punish the innocent? What does this new law signify then? Does it hold any alternative meaning? Unfortunately, the current Government of Mauritius is so foolish that it thought that people could be easily manipulated by its malicious and dictatorial driven politics while being incompetent to even understand these vital couple of lines. At this point, it is clear to us that the incorporation of this new law is solely a misuse of power to repress the opinions of people and an attempt to restore and shape their distorted political image which everyone knows is on the verge of doom due to their constant acts of incompetence in various sectors. Indifferently, this new legislation on social medias is a strong proof of their cowardice and dishonest nature, as they try to deprive the public of their basic rights.